INTERS is the software used to collect and manage the data that is reported to Vocational and Technical Education for the Federal Report. Check the site often as new information about reporting may be posted. Select the desired school or ACTED number from one of the following lists to retrieve the results for your selection. South Bend Comm. Sch. 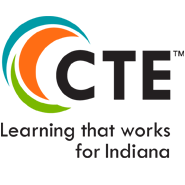 Corp.
West Central Indiana Career & Tech. Educ. Select the desired school from the following list to retrieve the results for your selection.